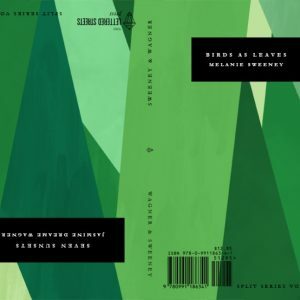 Melanie Sweeney’s latest work, Birds as Leaves, is a nonfiction chapbook about motherhood, gender, nature, and the body. It is paired with a poetry chapbook by Jasmine Dreame Wagner in a split volume and released by The Lettered Streets Press. Melanie’s fiction and poetry have appeared in Mom Egg Review, Foundling Review, Reunion: The Dallas Review, Rougarou, and other journals.